The iPad Mini 1st Generation has been compared to a Nintendo 3DS XL in size and feel, and is very popular among those who prefer the iPod experience but with two-handed gaming. This smaller version of the iPad is also the choice for those who want the convenience of surfing the internet and email accessibility, along with a variety of app choices, but without the bulk of a normal sized iPad. The iPad Mini 1st Generation does not have the Retina display available in newer mobile Apple devices, but it does include Siri, the popular voice-activated virtual assistant. For those users who are familiar with the Phone 3GS, the iPad Mini feels a lot like this, especially in regards to the screen design. The icons on the home screen of the iPad Mini rotate as you rotate the device, and users can drag and drop icons to create groupings. It is therefore easy to organize apps, documents, media, and everything else on the device. The lower resolution of the iPad Mini 1st Gen makes it a less desirable device for those who want portability with their movie and video viewing, however it does support AirPlay. It also takes longer for these items to load and depending upon the connection, there can be glitches and freezing with larger files. Users who were looking for an Apple device to play video games on were generally pleased with the size of the iPad Mini, but many serious gamers were disappointed with the screen display and load times. The iPad Mini comes with the new Lightning connector like the iPhone 5, but users will need an adapter for accessories that have 30-pin connectors. There are two speakers, one on either side of the Lightning connectors, and the device is powered by an A5 processor and runs iOS 7. The cameras on the iPad Mini are somewhat improved over earlier Apple devices, but they are not HDR and do not have panoramic features as built-in standards. However, there are apps available for editing images directly on the device. The iPad Mini 1 may take a bit longer to process than other newer Apple products and not come with Retina display, but it still operates at a decent speed and is compatible with all of the top-selling apps. Perhaps one of the most popular features of the iPad Mini software is the inclusion of Siri. This is a change from the iPad 2 which did not come equipped with this voice-activated technology, however she has been a standard feature since the iPad 3. The iPad Mini also runs AirPlay, making it more versatile for viewing videos and listening to music. The iPad Mini 1st Generation is a bridge between the iPad and iPod, delivering a smaller sized device but with decent speed and app options. For those who like the functionality of standard iPad cases, there are Smart Covers available for the Mini that have similar kickstand features for video viewing. The iPad Mini 1 had us scratching our heads for a while because it was not easy to find the best online casino for this Apple device, due to its lower resolution. Some of the sharp, clear casino games that we were used to playing on regular sized iPads just didn’t look as good on the Mini. Therefore we needed to find online casinos that didn’t over-optimize for high resolution mobile devices, but still offered fast, fluid casino games. Below we have listed the best places to play online, broken down by geographic region. 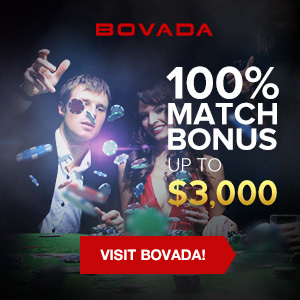 Longtime readers of MacCasino.net will already be quite familiar with our love affair with the Bovada Casino, and why we believe that they are one of the best online casinos in the United States today. However, they are also our top choice for iPad Mini 1st Generation owners in the USA due to the quickness and reliability of their software, and great user experience on smaller tablet computers. In addition, the Bovada mobile casino not only looks amazing on high-performance devices, but older generations of iPad and iPhone as well. One of the first online casinos ever endorsed by this website for players living in the United Kingdom was the 888 Casino, and years later we are happy to extend that recommendation to the iPad Mini 1 as well. This is mainly due to the fact that 888 license their mobile casino software from many different reputable providers, and therefore players have lots of options to choose from for blackjack, roulette, craps, slots, video poker, and every other popular casino game as well. 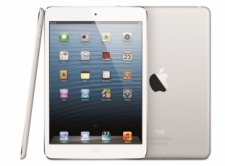 The 888 Casino is definitely the best choice for everyone from London to Glasgow looking to gamble on an iPad Mini. The best online casino for those living in Canada and looking to gamble on an iPad Mini is one of our all-time favorites, the Bodog Casino, which has been in business for over twenty years. Over this time they have spent a lot of time and resources creating their own proprietary casino software, and although their mobile product is optimized for newer devices it still looks fantastic on older devices, or devices with low resolution like the iPad Mini 1st Generation. Bodog also offers huge welcome bonuses, fun promotions, and great slots tournaments.